Hi friends! Man, I have been a slow reader the past few months. Although, I find when I read “heavier” books it takes me longer to process them. 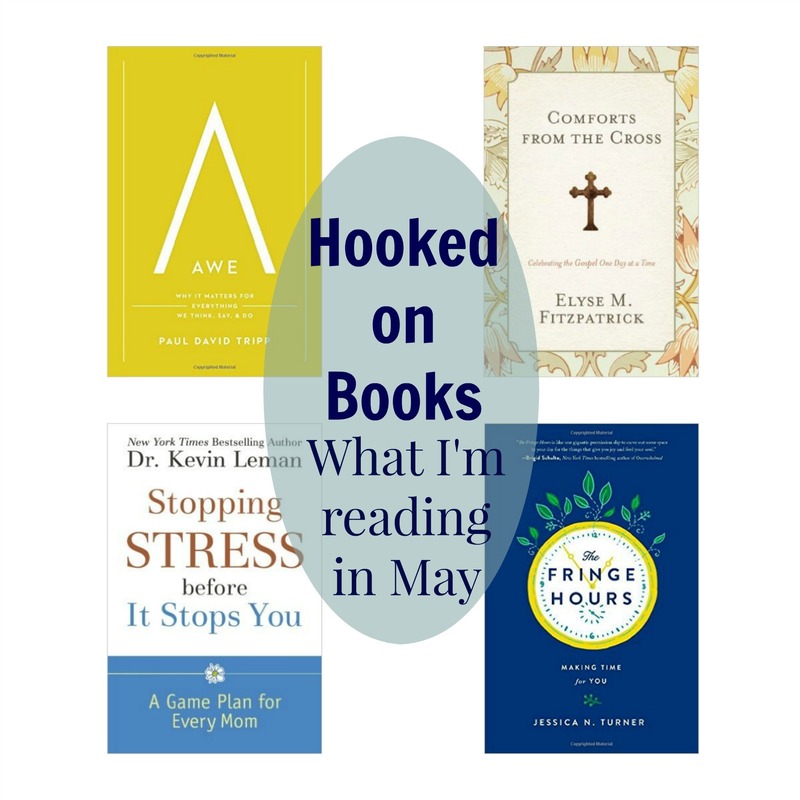 Here’s what I’m reading in May with links to Amazon. Comforts from the Cross by Elyse Fitzpatrick – I’m doing a study on this book with a few friends. It’s a devotional format. The price just dropped on this one and the Kindle version is only $2.99. Stopping Stress Before It Stops You by Kevin Leman- As I mentioned in the Friday Five, I started reading this last week and I’m almost finished with it. It’s making me realize how my parenting style may indeed be adding more stress to my life- Go figure! The Fringe Hours by Jessica Turner- I’ve been eyeing this book for a long time, I even listened to this podcast last year when Jessica was featured. Right now the Kindle version is only $2.99 on Amazon so I could not pass it up.